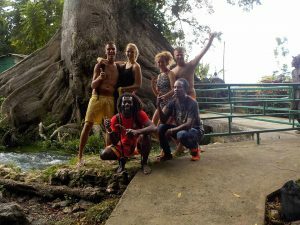 An unique way of guiding our guests all over Jamaica leads through an authentic, professional Travel agency: Rappa Rasta Tours. 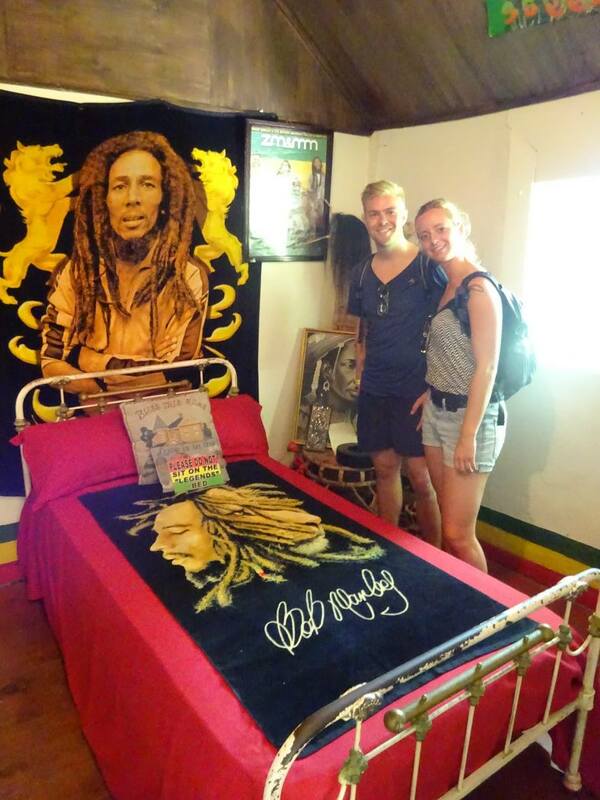 We are proud of all the 5 star reviews on the Face Book fan page of Rappa Rasta Tours. Right now our guests feel happy and satisfied and our Pajero Jeep (7 seater) drives comfortable and safe. But how did we started? Are you also curious about the start-up and our dreams? 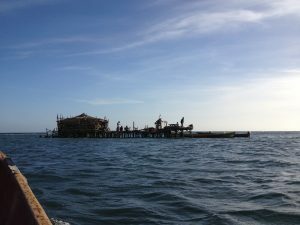 Read this blog! 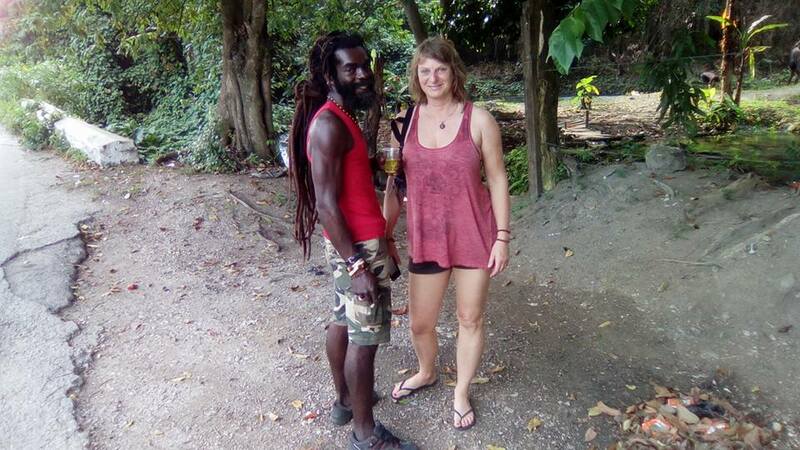 It was around May 2013 when Rappa entrusted Sandra with his dream to be a tour guide. ‘Why not?’, Sandra said and she created a business card and flyer. Some paperwork needed to be done like a passport, a drivers license, and ‘Team Jamaica’ class. 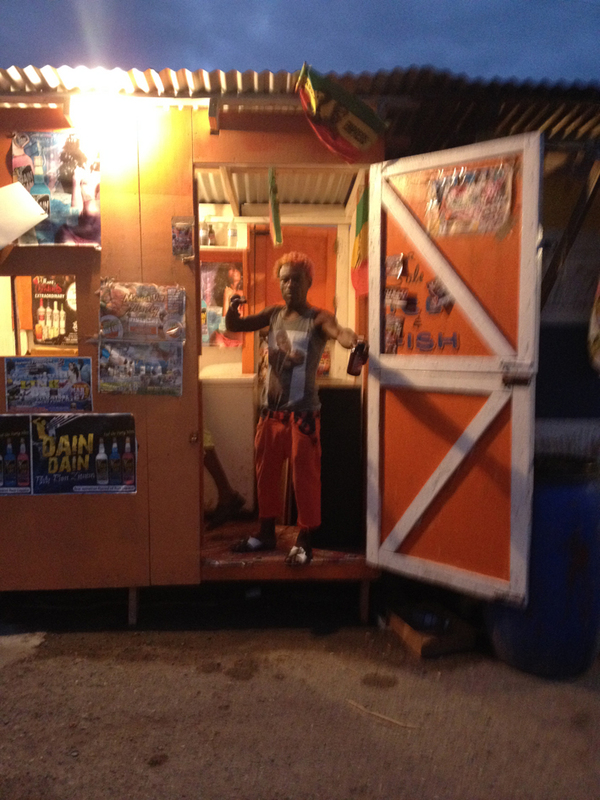 A few weeks later ‘Tour Guide Class’ by TPDco followed, and not much longer Rappa could pick up the license for the business name in Kingston. 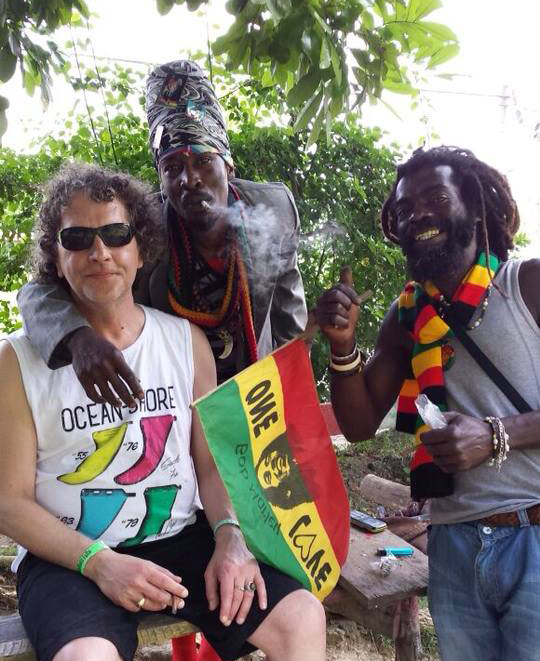 Rappa Rasta did get some tour experience already a while ago by joining Francesco on his trips. His own first trip was with Bliss and Hannah, and they inspired each other. 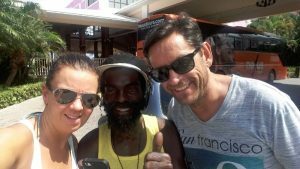 Tourist on the beach start to socialize with him and beg him for tours. And that’s how it began, with a rented car! 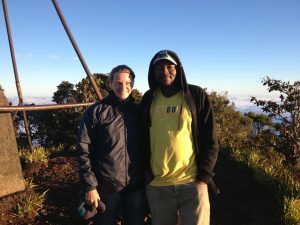 With his own Tour Guide Certificate now, Rappa is ready doing his own tours. 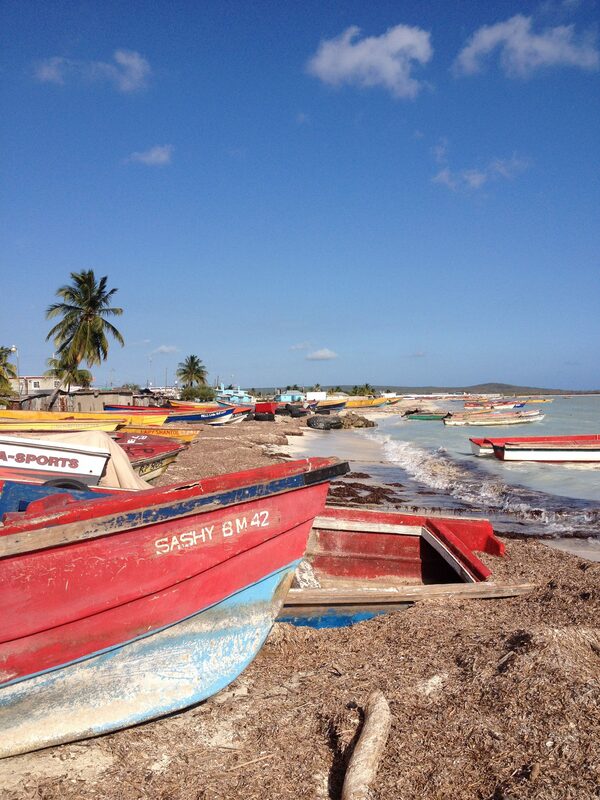 Rappa Rasta Tours is specialized by ‘of the beaten path’ tours. 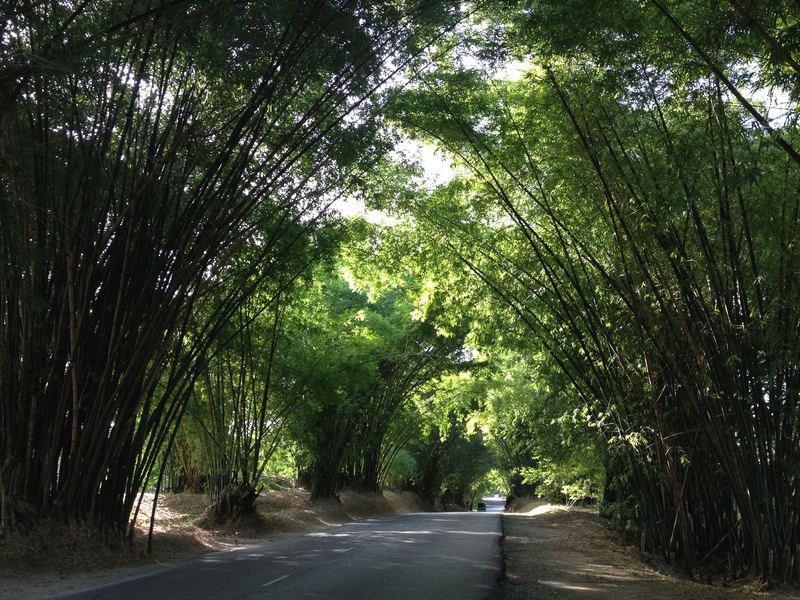 We are travelling the ‘Rasta Way’, which is easy going, safe and fun. 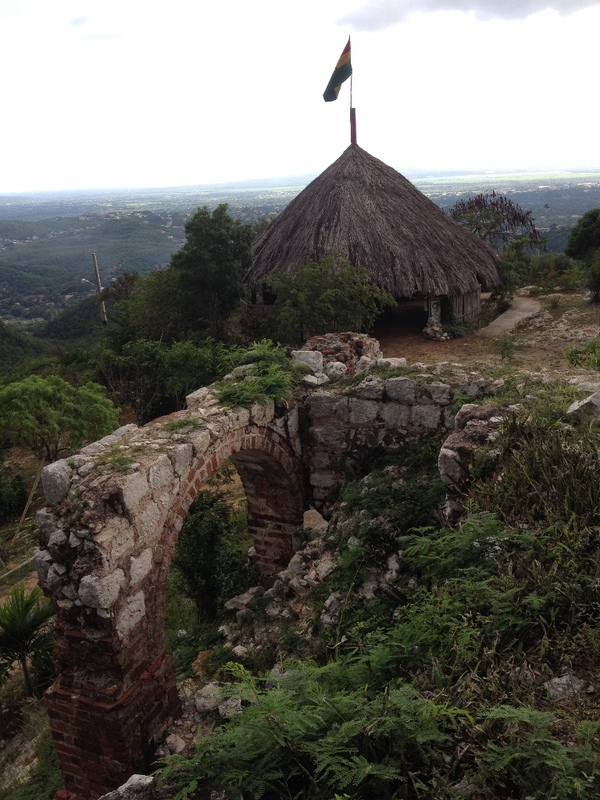 On top of that you will get information about the culture of Jamaica, history, music or plants. 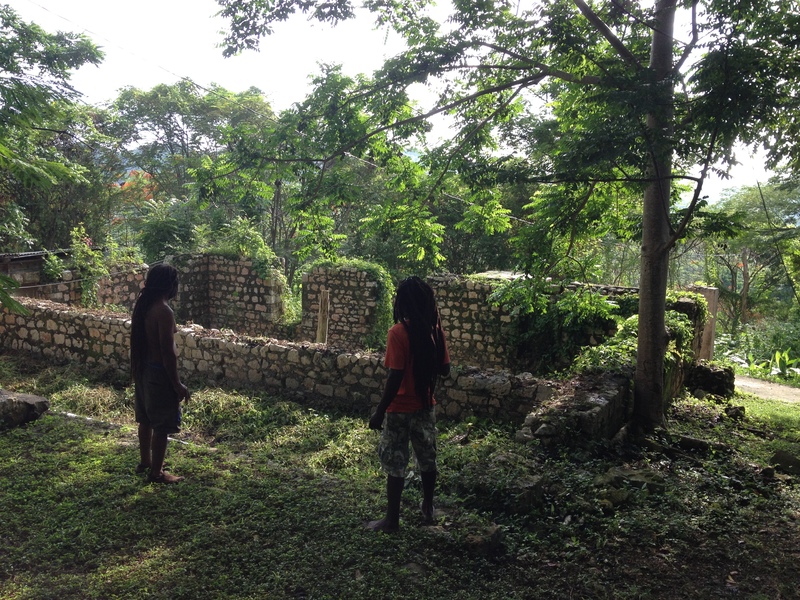 You will explore the Real Jamaica in the Natural Rasta way and you will meet Jamaicans with their positive vibes. Watch this: When you put your dream into the light, they can turn into reality! In the meantime, Sandra developed a Face Book Fan page and a website, while boring back in Holland: www.rapparastatours.com. 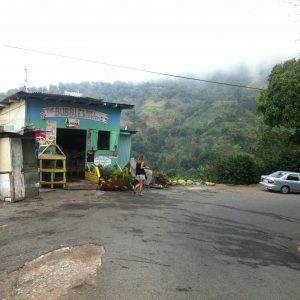 She started to write online travel guides and blogs for www.favoroute.com, www.wearetravellers.nl and www.Jamaicans.com. 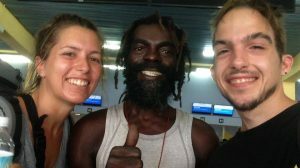 This way Rappa Rasta Tours became visible to the whole world. 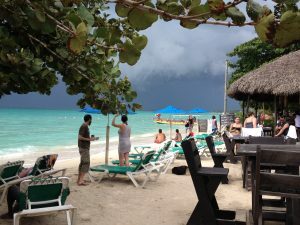 So now and then Sandra went back for the healing energy of this Caribbean island and to explore Jamaica more and more, she lived in Jamaica for a while. Now travelling up and down every now and then. 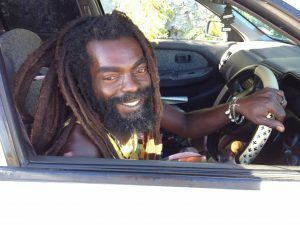 Some years later, Rappa met the requirements of the internship and became a certificated Tour Guide by TPDco Jamaica, driving his own car long time. The first car Rappa bought, a Blue Bird, was a beauty, but very old and after every tour he needed to repair the car, many new parts were bought and it was an un going story. Still proud of having your own car of course! When round tour requests came in, we decided to buy a better car. Unfortunately the ‘better’ was not so much better, and still we needed to visit mechanics and auto part shows too often. 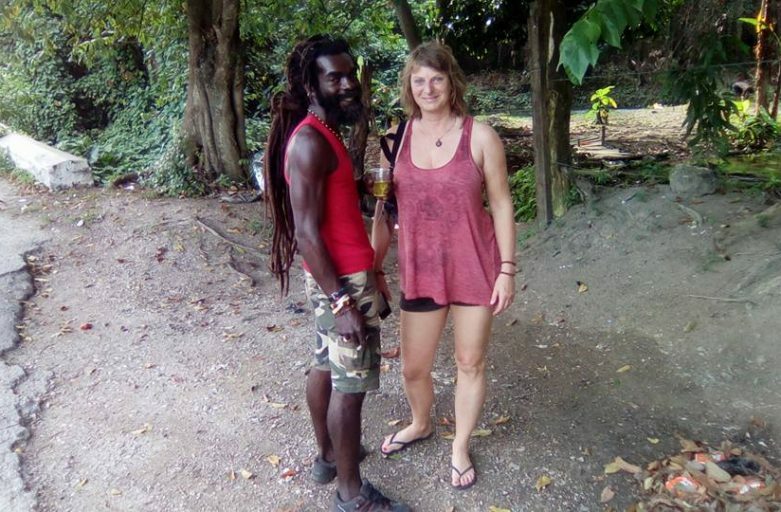 The Tour Guide business / Travel Agency ‘Rappa Rasta Tours’ is a fact and the two owners are working perfectly together. One of them is best in guiding and the other one in PR / Social Media / Customer Service. 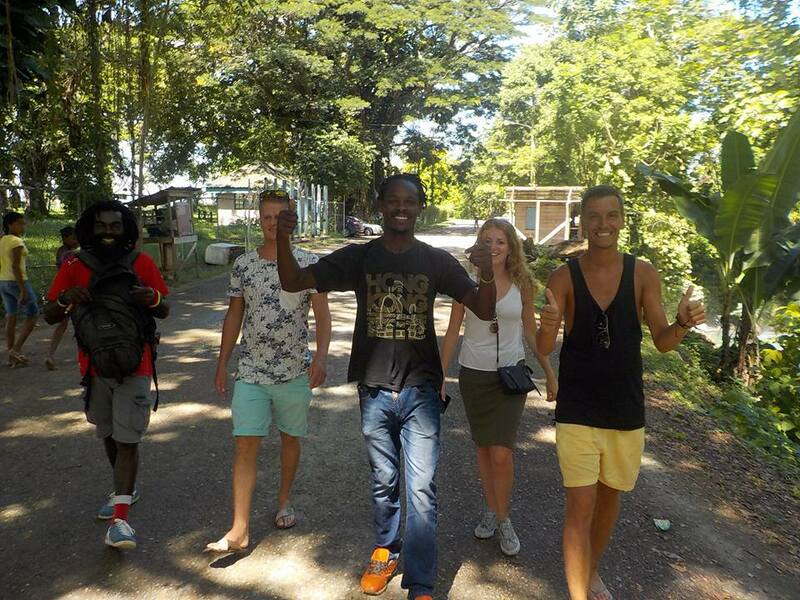 Rappa Rasta Tours have gotten all five-star reviews, written by their travellers on the Face Book fan page. Out of enthusiasm and happiness the guests share their experiences with friends and family. 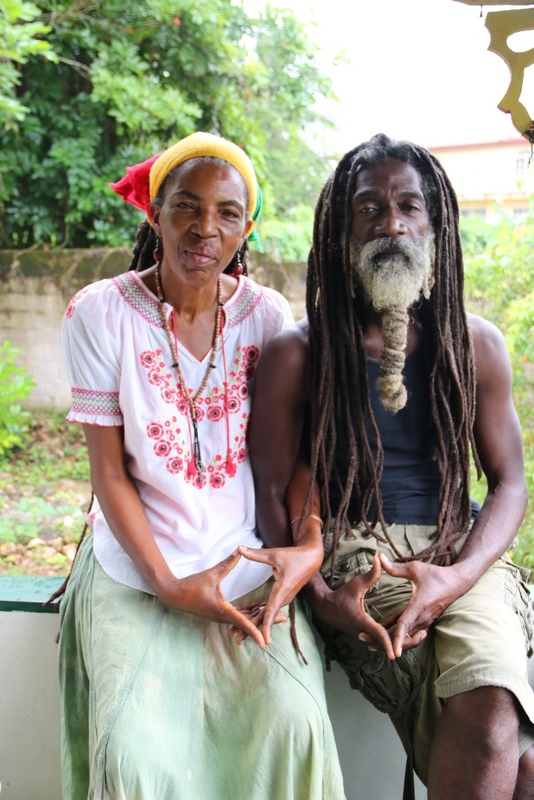 They are often going back home with mixed feelings: wanting to stay longer in Jamaica – full joying the ‘irie vibes’. With those reviews, it is encouraging to go on with the business and it also gives us a feeling being part of a huge family. 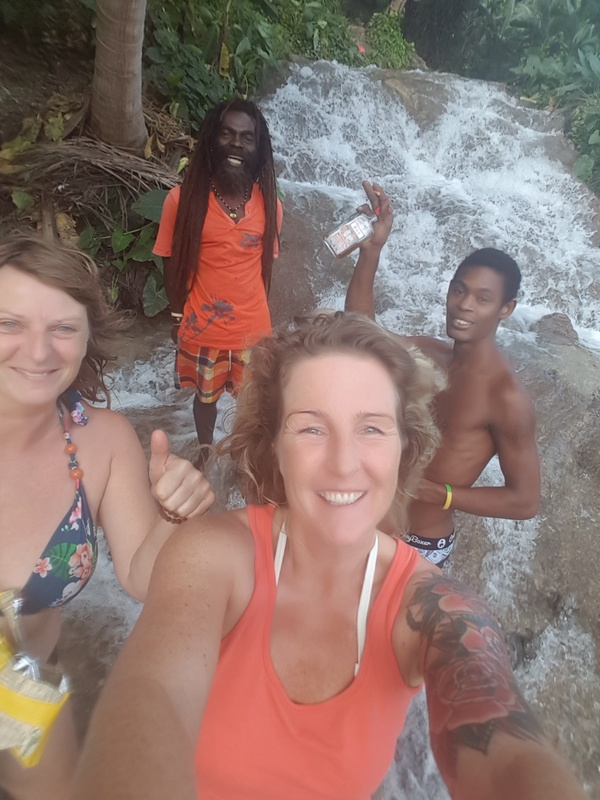 Besides of the happy travellers, Rappa Rasta Tours is blessed with the most inspiring connections all over the island. Everywhere they go, new friends and links are being made. 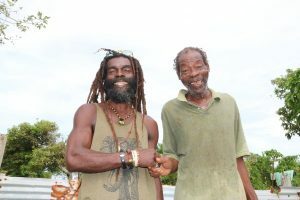 Guesthouse owners, caretakers, taxi drivers, local restaurant owners, arts & craftsmen, (coffee) farmers, ganja plantation owners and Rastafari and Maroon cult healers, we have a good connection with them. 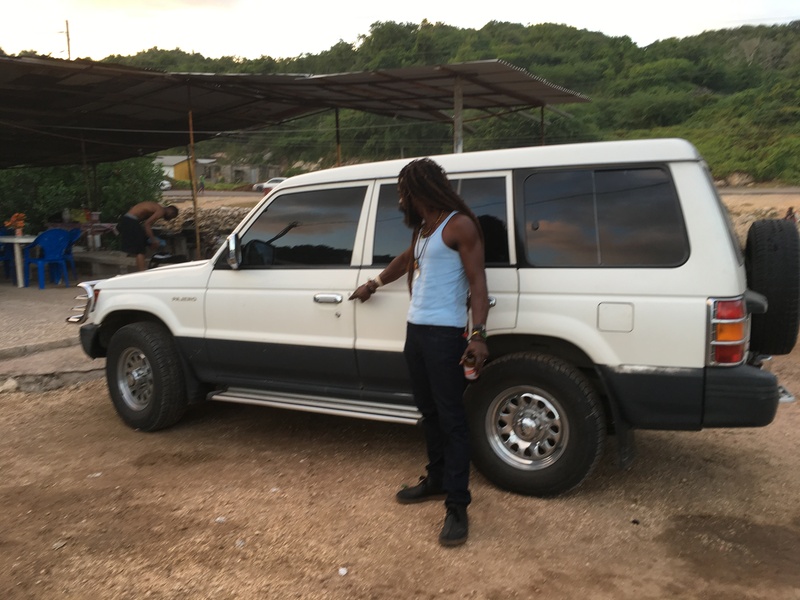 January 2018: Rappa Rasta Tours was able, with help from friends, to exchange the personal car for a powerful Jeep: a Mitsubishi Pajero. Unexpected we ended up in a place where the 4WD was calling us. My Gosh, what a blessing, we decided in a couple of hours to buy a ‘7-seater Jeep’. The driving is a real joy for everyone and there are fewer visits to the garage. therefore we are grateful. So now we are the proud owners of a seven seater Pajero Jeep. It’s such a pleasure to drive in! Rappa’s daughter Tasheka is able to finish secondary education level this year (IT, Mathematics and Business Organization). And again we are grateful because without help we could never do this. You have to live your life with ups and downs, in general it makes you stronger, but in the middle of a crisis it seems hard instead of easy. – it seems someone bought the land Rappa lived on, for 7 years, and it is hard to accept Rappa has to leave the yard. 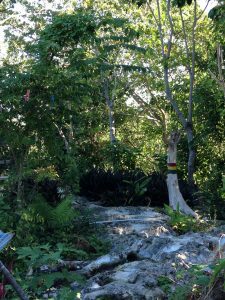 The little cottage with wooden veranda on the rock, has an awesome view over Negril, and is enriched by flowers, trees, herbs, birds and bees. We are so happy there! All the energy (and money) to start building a stone house seems spoiled, and they have to start over again, some way, somehow. But, yeah mon, we keep the faith! – Another very sad story needs to be told: Rappa’s sister Mitzi has been killed. It turns the family upside down and it confuses them a lot. Rappa got life teachings of his grandparents to live an honest and good life. Those teachings he always did spread around to his brothers and sisters, to bredrens and sistrens and he is living the teachings till today. Bad energy came unexpected their way: gangsters burned her house, shoot her in front of her daughter and left her three children without a mom. 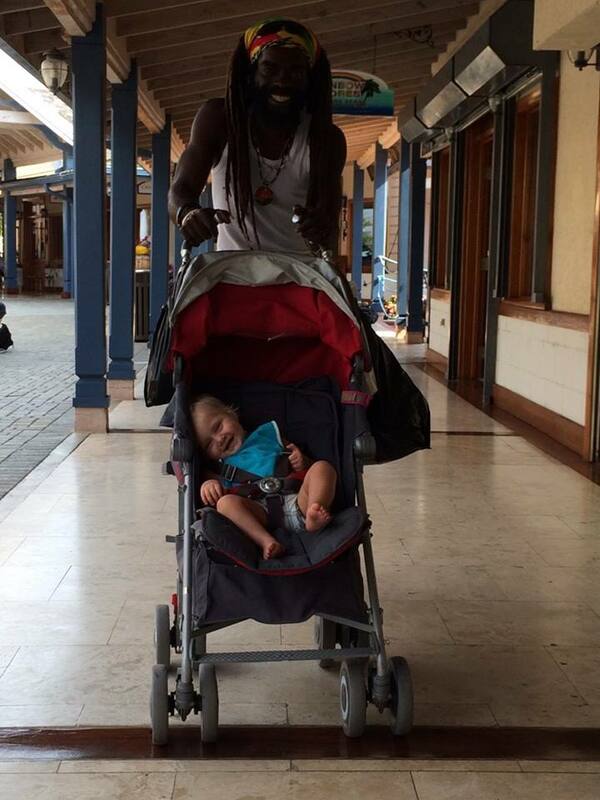 Rappa and his family are feeling confused and frustrated. They are holding on, staying humble and keeping the faith. 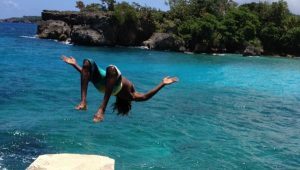 – Rappa Rasta Tours is happy to add a 7-days round trip to the tour list. 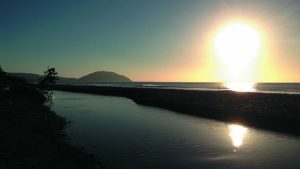 It is a combination of stunning beaches, awesome waterfalls, hidden gems, culture, nature and history. 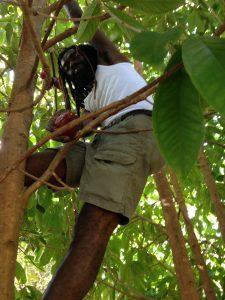 In 7 days you will get a perfect feeling and knowledge of the Real Jamaica: Exploring on the Natural Rasta Way! You can extend this trip with 3-5 days. 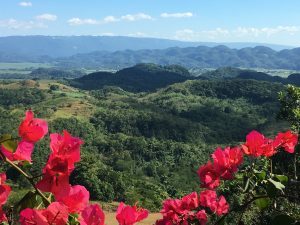 – Rappa Rasta Tours has developed a mixed holiday retreat of yoga & meditation with afternoon tours. 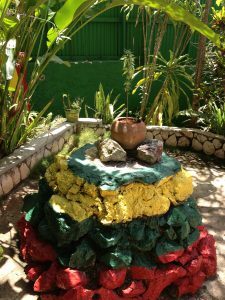 You will get relaxation, healings, Maroon / Rastafari spiritual teachings with chanting and drumming and superb nature travels: a combination of inner and outer travels. Information will be on the website soon. 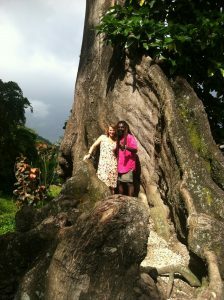 But when you have questions right away please send an email to rappa@rapparastatours.com. 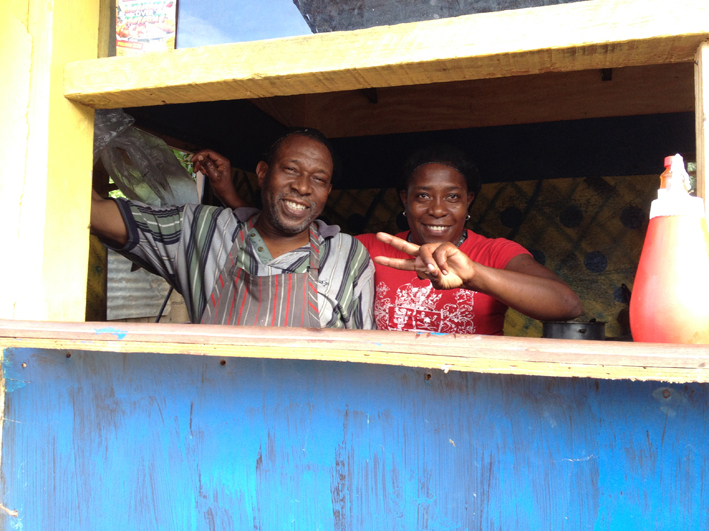 Making the life of Jamaicans better is where we stand for: Supporting small local businesses and sharing benefits. This we do together with YOU! We need you spreading the word: keep on travelling with us, share your travel experience with other travellers and build a better Jamaica. 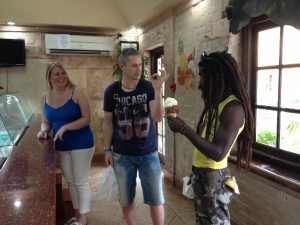 While you will are having a great time exploring the real Jamaica, you will support small local businesses and individuals at the same time. 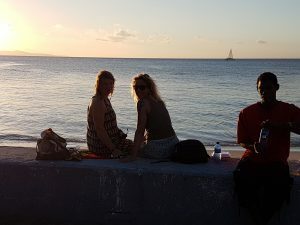 It is important to connect people, travel a fair way and sharing knowledge and benefits. You can read more about our Mission & Vision on our website. 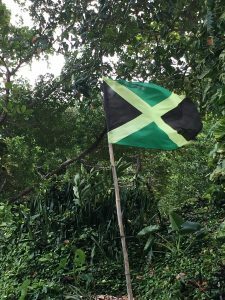 We are giving support in any way to persons who love to start a project in Jamaica to support Jamaica and Jamaicans. For instance, we just started an investigation, together with Bio-Ron, for a natural farming project. Giving farmers a better possibility to grow natural food, looking at the specific dirt situation and fertilize the earth. 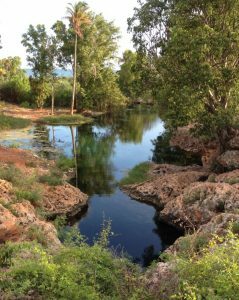 we like to enrich the earth, animals and people with real healthy food and water. We will assist you in buying a piece of land, and link you with the right persons: making sure the procedure is an honest one. It would be great when Tasheka can go to college (IT) next year. It is important for teens to be able to survive by themselves in the future. We are creating a better home base in Pusey Hill. 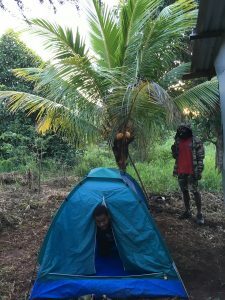 Our dream is to have cabins for our guests, a campsite for nature lovers and Rastafarian-way-of-living seekers. We also are creating a gathering place with a fire and natural seats around the tree. 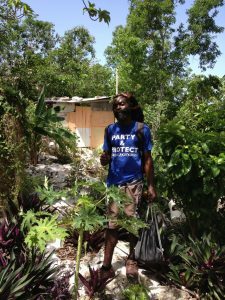 Hopefully we are able to find a new place to live after we moved out of the rock and eventually having an office in Negril. With a fundraising program this must be possible. There is no other tour company like us. We are unique. We are authentic. 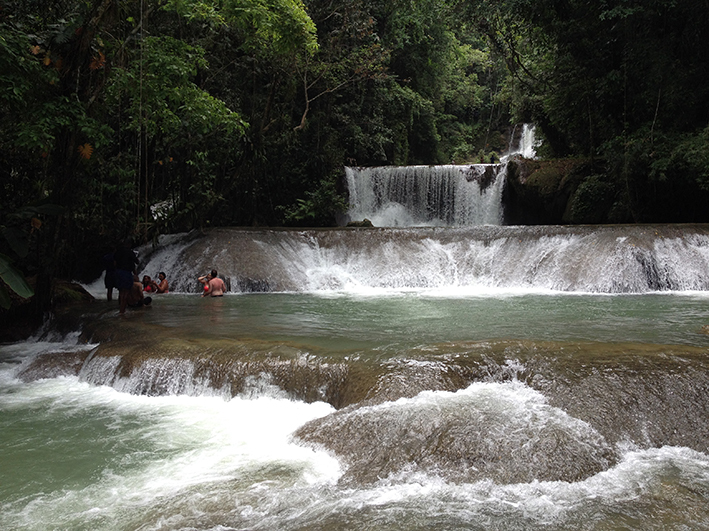 With Rappa Rasta Tours you’ll get (private) tours and you will Explore the Real Jamaica in the Natural Rasta Way. Meaning, you will experience the real vibes and will see much more than hot spots only. 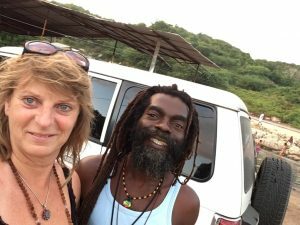 The chill Rasta Vibes with music and singing, new experiences and time for the unexpected will gets you. 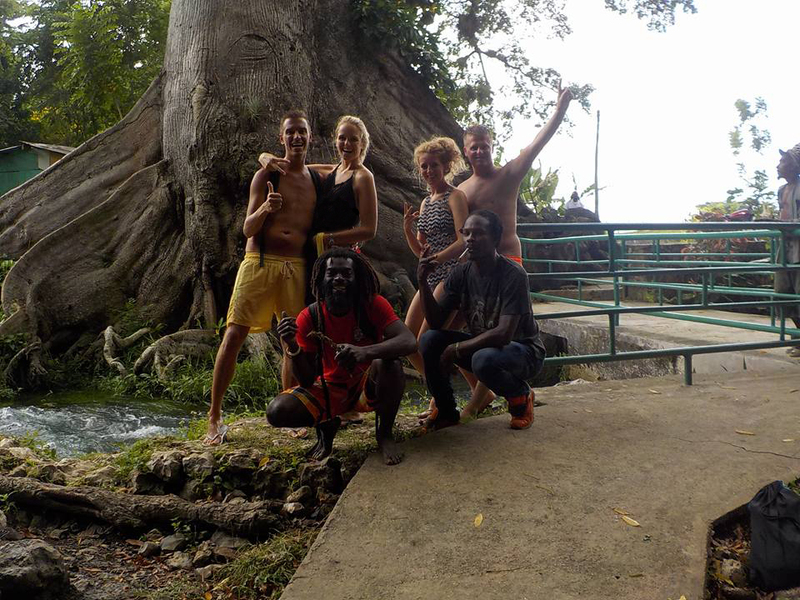 Rappa Rasta Tours will arrange Tours and Round Trips on demand, therefore your special holiday fits perfect. And guess what? You’ll become a different person after this holiday. You will feel more relax and happy in daily life back home. 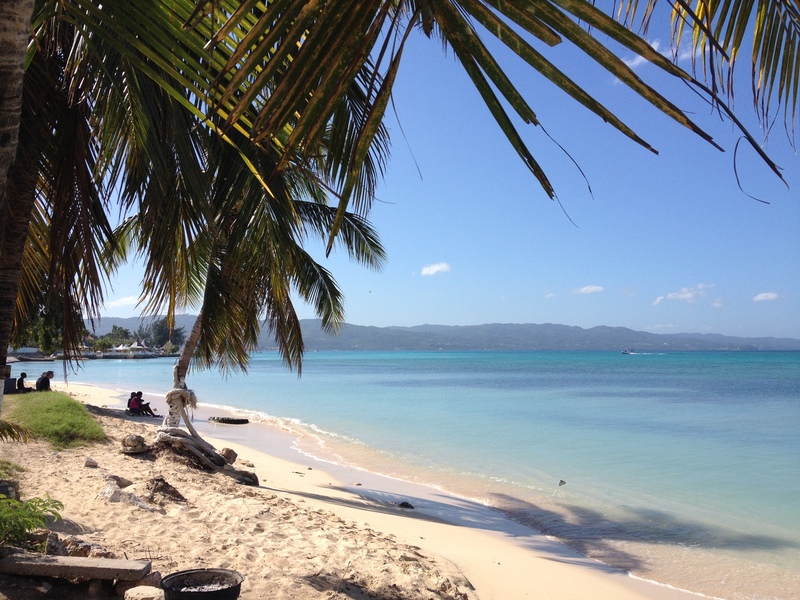 Jamaica will open your heart, will connect you with your inner self, makes you dance and sing, laugh and relax. We travel together with curiosity and flexibility, we go with the flow, we explore, party and protect. 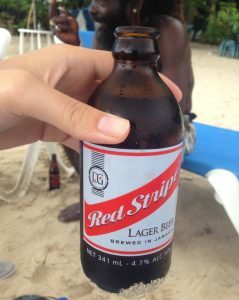 We make sure you will have the best irie holiday ever! Come and come again, and we will inspire together each and every one! 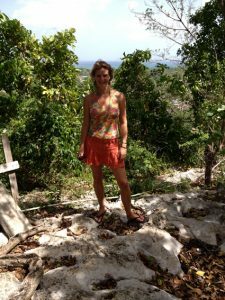 Read all about the travel guides and blogs of Inspiring Vibes, Sandra Smits. Wow, what an inspiring story! 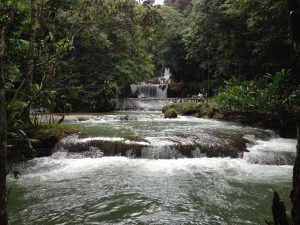 Keep on with showing people the real Jamaica! Thank you Dörthe, We will work on the next newsletter this year.